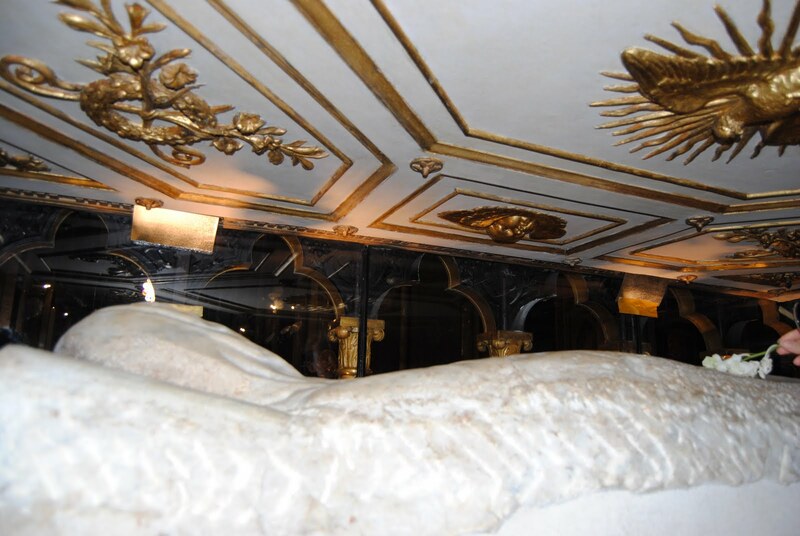 Today is the feast of one of the most popular saints around here, St. Catherine of Siena. Lay woman, Dominican tertiary, ecclesial reformer and gifted with a charism that allowed her to put popes and antipopes in their proper place and get away with it, she serves as the patron saint of the caribinieri, Italy, Europe, and was the first woman named a Doctor of the Church. 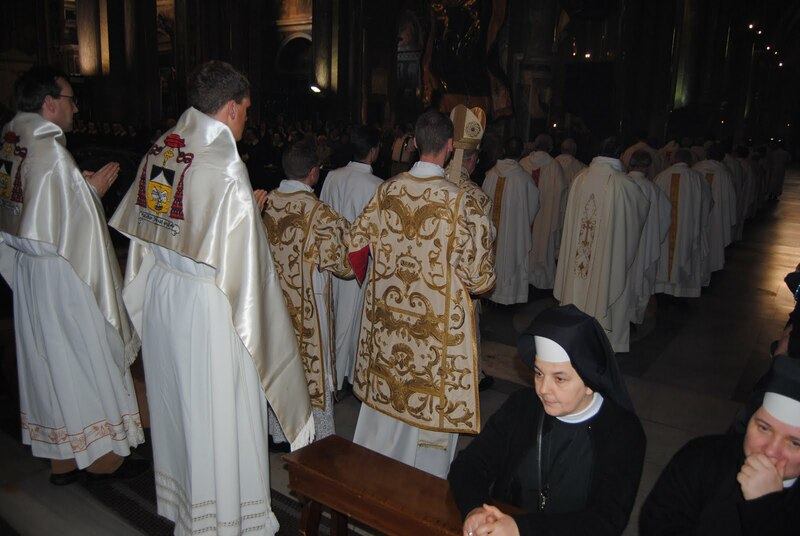 Cardinal Claudio Hummes, the Brazilian Prefect of the Congregation for the Clergy presided at a solemn vespers and Eucharist to commemorate the saint, with about forty Dominican friars, an equal number of sisters, and a handful of tertiaries, in attendance. It was an interesting liturgical experience in the fact that we started with the procession, went into the first half of vespers, after the psalms came the Gloria and the penitential rite followed by the rest of the Eucharist, only to return to the vespers canticle and the rest of that liturgy following the final blessing of the mass. Cardinal Hummes presents a good example of the way lines are drawn differently in Rome than it often seems in the States, and a reminder not to judge a book by its cover, or too quickly, if at all. 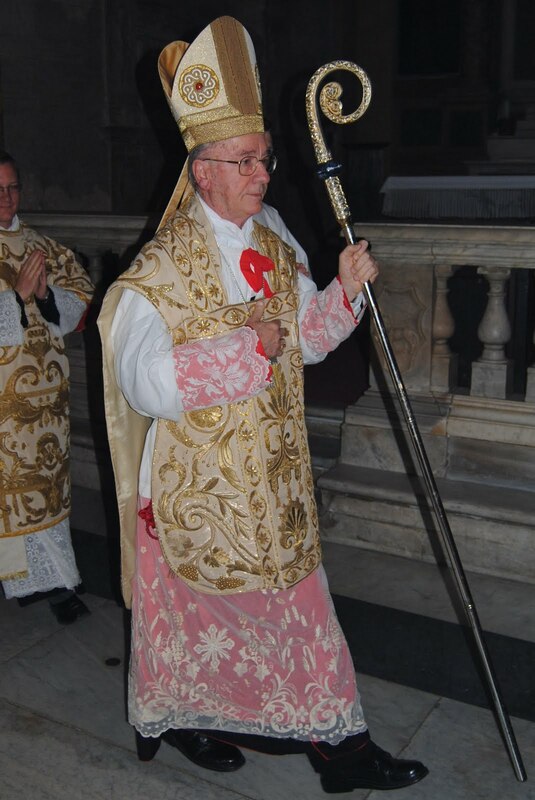 Vested in scarlet, lace and a heavily embroidered Baroque “fiddleback” chasuble he was the very image of the popular style of the Tridentine era and the “extraordinary form” movement of today. Dual deacons with matching Baroque dalmatics and vimpere donned in vimp veils embroidered with the cardinalatial coat of arms reinforced the image of a very Roman prince of the church. Cardinal Hummes is not his predecessor, however. Ordained a presbyter before the Council, he finished a doctorate in philosophy, in Rome, just as Vatican II was getting interesting. A Franciscan, he continued studies at the Ecumenical Institute in Bossey and has been known for his support of social justice, liberation theology, and being open about the theoretical possibility of doing away with mandatory clerical celibacy. This is not the combination that comes easily to mind for most of my fellow North American Catholics, I think it is safe to say: “traditional” liturgical garb and “progressive” theological/ecclesiological tendencies! The homily, I am sure, would be interesting… but I have not found a translation yet. In the mean time, blessed feast of Catherine to you! By A.J. Boyd in La vita Roma on April 29, 2010 .